PBS Kids is going global. This week, the network announced they’ve ordered a new TV show called Luna Around the World. Luna Around the World is slated to debut on PBS in fall 2018. Today at the Television Critics Association Press Tour, PBS KIDS announced the new animated series LUNA AROUND THE WORLD, produced by 9 Story Media Group and created by Emmy Award-winning animator, writer and artist Joe Murray (Rocko’s Modern Life, Camp Lazlo). This new multiplatform series will debut nationwide in fall 2018 on PBS stations, the new 24/7 PBS KIDS channel and PBS KIDS digital platforms. With a social studies curriculum, LUNA AROUND THE WORLD will encourage kids ages 4-7 to explore and appreciate cultures from all over the world, and build global citizenship and social skills. LUNA AROUND THE WORLD follows the adventures of three friends – Leo, a wombat from Australia; Carmen, a butterfly from Mexico; and Andy, a frog from the U.S. – as they traverse the globe with their parents’ traveling performance troupe, “Circo Fabuloso.” At each of the Circo’s stops, Luna the moon guides the trio as they experience the local language, music and daily life. The gang’s adventures take them across continents – from London to Cairo to Beijing – where they explore the food, architecture and other features that make each region unique. LUNA AROUND THE WORLD brings an innovative approach to social studies for young viewers. The series takes kids on an informative and imaginative exploration of global culture to make connections between communities all over the world, integrating concepts of anthropology, history, ecology, geography, sociology and economics. Along with the television series, LUNA AROUND THE WORLD will offer digital content for kids, parents and teachers, debuting in fall 2018. LUNA AROUND THE WORLD games will be available at pbskids.org and on the free PBS KIDS Games App, along with clips and full episodes streaming across PBS KIDS’ video platforms, including the free PBS KIDS Video App. A LUNA AROUND THE WORLD app will also launch after the series’ debut. Parent resources, including tips and hands-on activities to extend the learning at home, will be available on the PBS Parents site, and PBS LearningMedia will offer classroom-ready materials for teachers, including video excerpts, games, teaching tips and printable activities. Each episode of LUNA AROUND THE WORLD will include two 11-minute stories as well as interstitial content – including live-action segments about arts and cultures, and animated folktales and songs. The series is currently in production of 38 half-hour episodes and a one-hour special. What do you think? 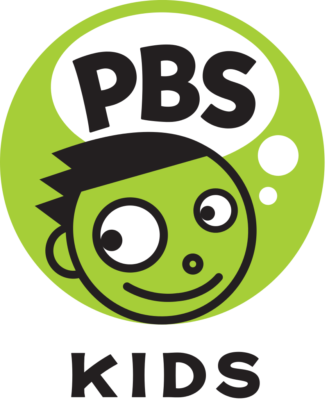 Are you familiar with PBS Kids? Do you like the premise for Luna Around the World? More about: Luna Around the World, Luna Around the World: canceled or renewed?, PBS TV shows: canceled or renewed?